Rev. Pinkney's sentencing is May 14, 2007, at 1:30 p.m. Between now and then, all fair-minded individuals, particularly those who have had the privilege to meet Reverend Pinkney or follow his work, should write letters of support. 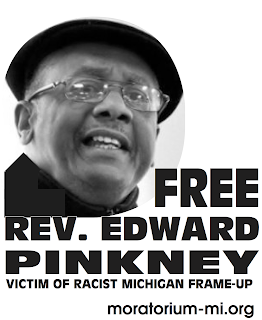 THEY SHOULD BE ADDRESSED TO: The Honorable Alfred M. Butzbaugh, Berrien County Circuit Court, 811 Port Street, St. Joseph, Michigan, 49085-1187, regarding the case of People v. Reverend Edward Pinkney. The purpose of the letter is not to accuse the Judge, the Prosecutor or even the jury of being racist, but rather to point out how distressing and suspicious it is that an all white jury would sit in judgment of a black community activist, 50 years after the high point of the civil rights movement. Also, emphasize the nature of Reverend Pinkney's work, how important it is that we have dissident voices in every community and that free speech must be protected. The letters should also indicate that, no matter what view one takes of the evidence against Pinkney, the worst that he did was innocently handle some ballots and become the victim of the testimony of some very shady characters, particularly including Brenda Fox. 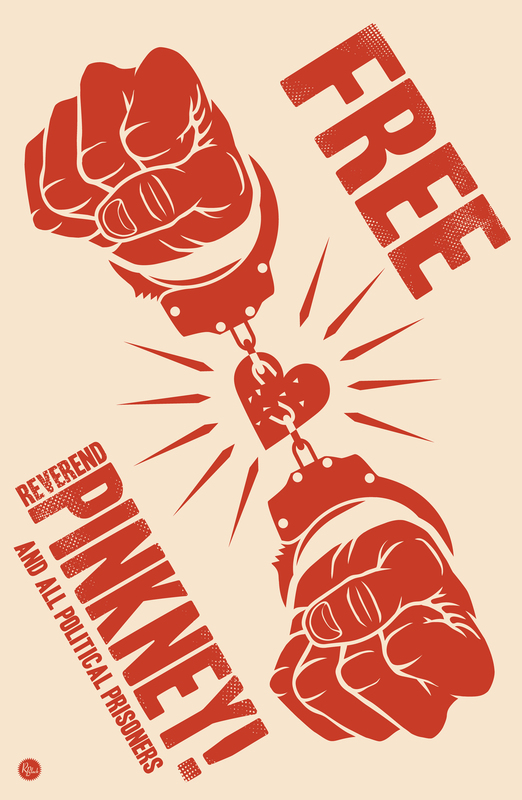 Tell the Judge that prison is NOT the place for a person like Pinkney, but that he is needed in the community, whether one agrees with him or not. Tell the Judge that the prisons are already filled up with too many black men and are already too much of a drain on the state and local economies. Tell the Judge that prison should be reserved for only dangerous and violent individuals who have to be removed from society. That is clearly not Reverend Pinkney. Finally, everyone should personalize their letter and, if you have any direct experience with Reverend Pinkney, describe it – what he did, how he helped, what you saw and whether he got any personal gain out of it. The last important issue is bond pending appeal. Pinkney's attorneys intend to push hard on the validity of the statute and on the denial of the jury challenge. Those efforts could take years. Let the Judge know that you believe that Reverend Pinkney should not be required to serve a sentence, even a short one, when these serious issues are still undecided on appeal. Since it is the Judge himself whose decisions are being challenged, he should not presume the outcome by refusing Pinkney bond.